With two solid short films already under his belt, Los Angeles based short filmmaker Andy Motz looks to be on the course for a very promising, and authentic, career. Both films discussed today, Whiter Shade of Pale and Among Sorrows and Songs, are extremely personal to him, both heavily influenced by the story of his grandparents (we discuss this below too). Besides the production of these two films, Motz has a love for, and knowledge of, film aesthetics and history that permeates every aspect of his life (he holds an M.A. in Film Studies from Chapman University). Andy discusses the various forms a script can take, frustrations (and revelations) in the editing room, and advice he has for short filmmakers just finishing film school. Miniflix Interviewer: When did you first know film was going to be your chosen medium of expressing yourself creatively? Andy Motz: I definitely knew in second grade, when I watched Vertigo. I don’t think I understood what was going on really…but I loved the colors and the way the images made me feel, and the ending that just shocked me. After Vertigo in second grade, I decided that’s what I wanted to do: make movies. Miniflix: Do you relate to the art form in a different way now than you did when you first fell in love with it? How has your development as a person affected your relationship to filmmaking and your ideal beliefs about the medium? Andy: It’s changed so much….I think for a lot of young people, something like Hitchcock, something more classical and suspenseful, acts as an entry point into film. But then I started to go more towards the edges, in European cinema. And I’ve mostly stayed there. I used to be into the more extreme stuff, but now I’m more into stuff that pushes the film language and try to give a broad perspective of experience. So if I was younger, it’d be more negative and pessimistic, like Lars von Trier, Hitchcock, and Kubrick. As I’ve gotten older, I’m more into filmmakers like Terrence Malick, Claire Denis, Wong Kar-wai…filmmakers that cover a more expansive view of humanity, in the negative and the positive.As far as my own filmmaking, as I’ve gotten older I’ve definitely moved away from genre pieces and towards more dramas. It’s forever changing. I also want to tell stories that have that broad range: life’s hard but it’s also beautiful. Finding both of those moments, exploring that paradox more. M: While it’s pretty standard for film students to make short films during their time in film school, most writer-directors are chomping at the bit to get a feature funded and made. Why have you chosen to keep making short films instead of features? Has it mostly been to reasons of budget and logistics, or do you prefer the short form? A: Eventually I’d like to make a feature. It’s something I am really working towards, but shorts are such a great way to get your vision out there. They’re also great practice too. The visual storytelling is heightened in short film. You only have 10, 20 minutes to really grasp the whole concept….I’d like to do a feature soon, but hopefully two more shorts before then. That’s how my brain’s working right now as far as ideas go. M: A Whiter Shade of Pale is based on true events. Can you briefly explain the real story that inspired this film? A: My grandpa was a closeted gay man during the 1980s, and he ended up eventually getting HIV. Before he knew that he had it though, he ended up giving it to my grandma. And how they found that out was that she actually got tested positive first…which then revealed that he was the one who gave it to her first and that he’d been living a double life. M: Did you ever at one point have A Whiter Shade of Pale set in the 1980s rather than the contemporary setting you eventually settled on? A: Yes, yes I did. To be honest, it was budget. Like, if I didn’t have the money…I just hadn’t seen anyone else do it well. I kind of came to a place where I was like, “What do I do?” I decided to change it to contemporary times. M: The soundtrack (composed by Matthew Haggarty) comes off rather light, even folksy, at times. I would have expected a more maudlin, self-serious arrangement. Something more conventionally suited to a domestic drama with this high of emotional stakes. What were the conversations had between you and composer about the function of music here? How did you ultimately see the music as functioning within the larger tapestry? A: Music was always a hard thing for me, because it’s a great tool in movies but it’s often so over-utilized, especially in dramas. That’s not something I wanted for this. This is actually another thing about short films. Really dramatic music can be jarring, especially because you’re not in that world for very long. So I found this composer [Matthew Haggerty], and told him I didn’t want piano or violin. I was even convinced I didn’t want music at all. There’s actually only music in the montages. I just wanted the rest of the movie to be quiet. He was like, “What if I played a ukulele?… And he came back with this really beautiful score. The ukulele solo matches the characters’ interior worlds and heightens it in a more natural way. M: The scene where he tells his wife he gave her HIV is very intentionally awkward. No music, no easy cuts that would have either artificially heightened the drama or gave it a more souped-up rhythm. You really just let these actors play, do things that are rather “un-cinematic”. How many iterations of this scene existed in your head? Did you ever see it playing out any differently? A: Not really. The films that were specifically influencing me at the time were by Ingmar Bergman and Steve McQueen. Both of those filmmakers, in scenes of real human conflict, don’t turn the camera away. They really like to focus on the actors, and in their sorrow. I really wanted to do that too. So, for me, it was important to see them in their sorrow, see them in their pain. I think that without the dramatic cutting, you can create frames that say a lot as well. It was something that both me and the DP [Nathan Ingalls] were pretty set on. It was our vision, and it helped the actors too. We just did long takes, so we could keep going through the entire scene without cutting. I think that was important for their performances. M: There are many flashes of images in two of the film’s biggest montages. In some instances you return to the same shots (shots of dead trees, the wedding cake being eaten away, the shot of the couple in an empty pew). The movements and shot selections here feel very impressionistic, smaller parts that make an emotional whole. How do you ultimately decide what images become the dominant images in a montage?Were there many other image-ideas you shot but got left on the cutting room floor? A: All the images we captured in the montage were in the script. But the editor [Michael Asmus], he was really amazing. He read the script, got the gist of what I was trying to do and then he threw it out the window and re-edited the two montages and footage we had. And I thought it was just incredible. At one point, we’d gotten it to a place where I felt it wasn’t really working…but then he completely re-did the montage. So we shot everything that we’d meant to, but then in post-production, thanks to him, we were able to shuffle things around. For example, in the first montage, we don’t originally see John’s lover. But Michael realized there needed to be this theme of going in between two worlds. So John’s wife and his lover needed to be part of the whole film. Stuff like that. M: Can you speak really quick to the experience that formed Among Sorrows And Songs? A: This film was sort of A Whiter Shade of Pale adjacent. Another ramification of my grandfather was that I started volunteering at a bunch of different HIV non-profits in Los Angeles. It was a way to give back. And I met so many people and heard so many stories. It was during this time that I realized nobody was talking about HIV in contemporary society, when it’s no longer a death sentence. Most of the media out there is about HIV in the 1980s, which is super important. But no one was asking what it was like in 2014 to be a low-income person with HIV in the city. But I was just meeting all of these people with compelling stories. They may not have been struggling with it as a death sentence, but they were struggling with various things. M: There’s a big visual contrast between his time driving and when he actually drops off the medications. Was this intentional or just a function of shooting in a car versus shooting in more stable locations? A: Something that bothers me about short films sometimes is equating intense, realistic emotions with hand-held shots. Like getting up really close to someone and they’re fogging up the camera with their breath. I wanted to test that idea a little bit. I wanted to push back on that, which is why the scene with characters are on sticks. The most important part about the shots of him driving is sensory overload. The sense, when driving, that you’re always moving and yet never moving. You’re always going someplace but it always feels long and drawn out. M: In the script writing phase, what was the particular intention behind the structure of the film? In particular, how did you decide which of the many different stories you’d heard in real life to pick for this short film? A: The original script had tons of flashbacks in it. I originally had wanted to try and tell the main character, Mark’s story, as well as everyone else’s stories. But my boyfriend, who is also a writer, reminded me it was a short film. If I wanted it to be effective, I had to keep the film in this environment, in Mark’s present world. So I ended up cutting out all the flashbacks and just kept it in the present. For me, the structure was introducing what the film was about without being heavy-handed, so having a character who talked about HIV let us know what Mark was doing early on. Then showing someone with homelessness was important for me, so that was the next thing. And then having a little bit about Mark at the end, going to somebody he can trust….that was the overall structure. In that way, we also show stigma, poverty and then the side effects of medication. Those are the things I saw people struggling with, and so those were the three things I wanted in the film. M: In both short films, you love to have lots of light in shots. Even if a film is “dark” or set in a dark place, or place devoid of natural light, you find a way to keep it from looking muddy or “gritty”. What made you come to this place aesthetically? A: It was definitely a choice, but it’s not like I was on set saying “screw the gritty stuff.” In A Whiter Shade of Pale, the idea of the film was all about being exposed, so we wanted everything to be super bright. And for Among Sorrows and Songs, the DP [Giselle Gonzalez] and I talked about the colors in a city that’s always kind of sun-burnt. So that meant dirtier whites, more phased-out beiges, Both films were just really fitting in thematically with what we were thinking about color scheme-wise. 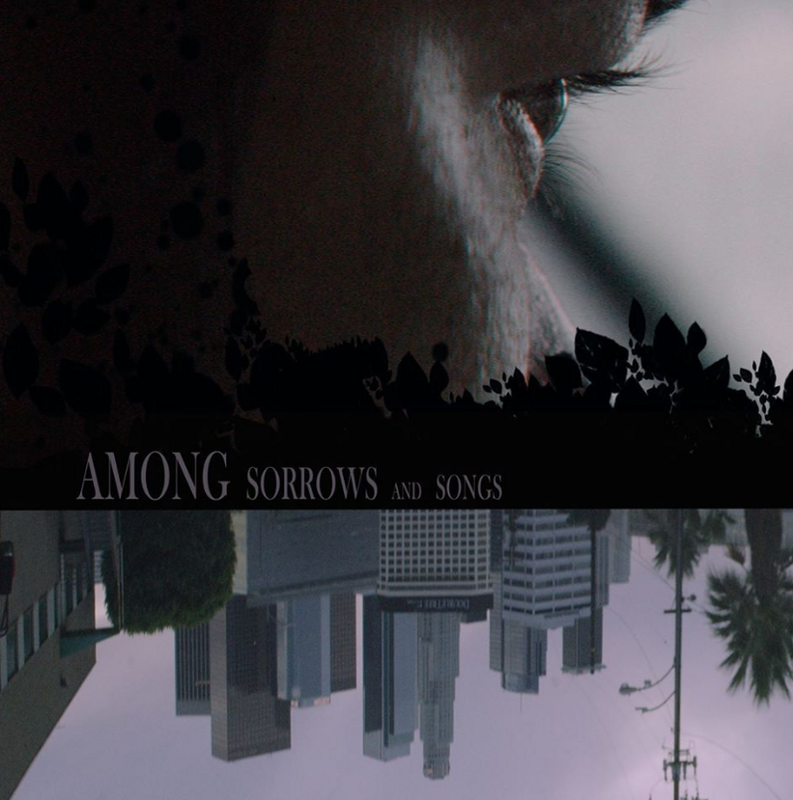 M: What’s the response been to Among Sorrows and Songs, and how has it been taking this film to so many festivals? A: It’s been really positive. So many of the people who’ve seen it are grateful for it. They feel like it’s talking about what a lot of people aren’t discussing when it comes to HIV. I’ve also found that it really connects people to their own experiences. M: What advice do you have for the aspiring short filmmaker in film school who maybe wants to only make shorts, despite the film world saying, “no, you need to make features, it’s the only thing relevant or the only thing people will pay for”? A: First I would say to short filmmakers that they need to make sure their stories are about the small moments in life. These are always the most effective short films in my mind. Part of the plus of making short films is that you get to explore those little moments. Also, finding the right day job is super important. One of the hardest things for me was, and still is, learning how to balance a day job with making a short film after college. Everyone’s different…but is a 9–5 going to be more effective, or perhaps going as a waiter? Or maybe you do want a creative job? Just make sure that job doesn’t deter your creativity. M: What’s one thing do you think (as a writer/director) you can accomplish more effectively or purely in a short film than in a feature? A: Short films are great at capturing small gestures and small moments. Short films signify how important those things are. I think the best short films are the ones that do that. The worst short films are the ones that try to be too big and cover too much. If you can focus on a moment or a gesture, short films can really show how those small things matter. M: What’s a short film you love? Meshes of the Afternoon. It’s a Feminist experimental short film classic.